123PassportPhoto is a free passport photo generator that helps you to make Canada passport photo online. 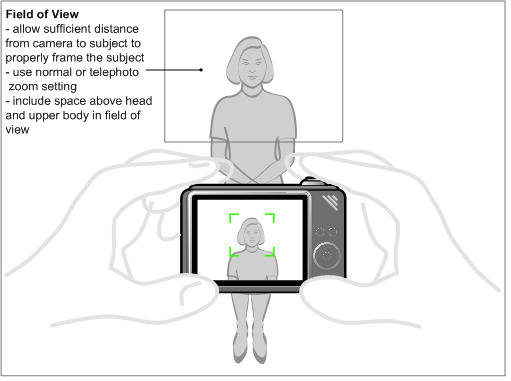 Photo must be 50 mm wide X 70 mm high (2 inches wide X 2 3/4 inches long) and sized so the height of the face measures between 31 mm (1 1/4 inches) and 36 mm (1 7/16 inches) from chin to crown of head (natural top of head). Refer to Canada passport photo requirements for more informaiton. Photos must be printed on plain, high quality photographic paper. You can choose to print the photos with color printer, or print it online.